The soaring number of customers preferring to choose eco-friendly products has boosted the demand for biodegradable paper cups. In a landscape constantly morphing under the influence of various trends of beverages such as coffee, infusions, and shakes, branded coffee cups are positioned exactly at the junction of sustainable endeavours and brand awareness. This is why Scyphus is investing massively in the production of branded biodegradable paper cups that have the high potential of becoming a business’ icon for demarcation in the crowd. According to statistics from the British Coffee Association, approximately 55 million cups of coffee are consumed daily in the United Kingdom. Worldwide, about two billion cups of coffee are consumed daily. Surveys conducted in the UK show that 80% of clients visit coffee shops at least once per week and 16% visit coffee shops daily, hence boosting the cafe culture. It is forecasted that the coffee shop market will maintain a steady growth and jump to a value of £4.3 billion in the next five years. On a parallel note, beverages such as overloaded milkshakes and frappes are increasingly tempting consumers avid of in-the-face desserts with mountains of toppings. Just like coffee, these beverages are being shared massively on social media platforms such as Instagram. As a result, branded paper cups are becoming mini billboards adopted by farsighted businesses and brands to demarcate themselves from the myriad of food and beverage businesses sprouting around. Most businesses are fully aware that today, traditional initiatives to boost performance may be quickly eroded. To stay afloat it has become vital to embrace innovative and uncommon strategies. The branded paper cups that we propose at Scyphus are the perfect solution for businesses wishing to adopt a microbranding strategy. Our range of paper cups, professionally branded, echoes the core values of visionary businesses and enhances the corporate image amidst clientele. Printed in high-quality, the logos, designs or messages can make the branded paper cups the flagships of businesses. Research has shown that Millennials strongly dislike the very idea of being sold to. They do not trust ads and hate being targeted through traditional ads on radio, TV or social media. This generation also massively use ad blockers. As a result, the sole strategy to approach them is by using subtlety. Using branded coffee cups, for instance, is an ingenious manner to urge consumers have a look at a brand while associating it with positive feelings experienced by a satisfying cup of coffee. As a matter of fact, studies have demonstrated that drinkers do not generally put down their cups until they have swallowed all of their drinks. As a coffee paper cup can remain in the hands of a client for an average of 37 minutes, and that it is raised and lowered for more than 20 times during this period of time, they are a subtle yet crafty and potent marketing tool. 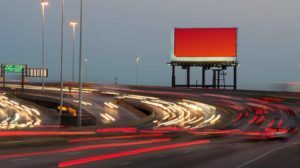 They surpass all types of traditional advertising methods in the level of impact created. Scientific as well as psychological studies have revealed that people tend to associate the physical sensation of warmth of a beverage such as coffee or tea with interpersonal feelings of warmth. This is referred to as the Dovetail Affect. Caffeine furthermore heightens alertness while the body is affected by a warm sensation. This experience sets the mind in a much more receptive state. 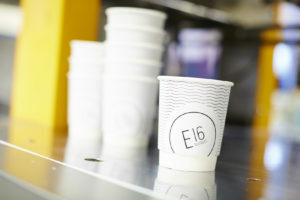 While consuming these beverages in a branded paper cup, the feel-good factor is extended to the brand itself through the message, logo or unique design on the paper cup. Traditional advertising has always engulfed massive investment. Today, it is dying and is being replaced by microbranding and the good aspect of this shift is that branding paper cups does not entail a heavy budget allocation. Branded coffee cups are increasingly adopted as an affordable yet successful marketing strategy. The production of over 60 million branded paper cups for hundreds of loyal clients has allowed Scyphus to affirm that businesses capitalizing on this strategy benefit from fruitful expectations beyond expectations. The opportunities to use branded paper cups are multiple. Functions, social gatherings, parties, charity events are all platforms to sell a business. 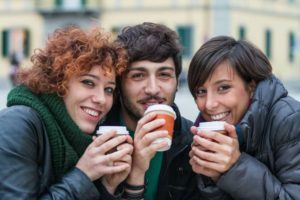 A study based on data collected from of 900 coffee consumers demonstrated that all participants could remember what they saw on the printed paper cups. 98% of the participants could even remember what they read in the message printed. This is not the case with traditional ads as 97% go unnoticed. As a result, overall investment for marketing can be reduced. We strongly believe that an appealing design on high-quality paper cups is a sign for a reliable and professional business. It has been proven that a good logo plays a vital role in a brand strategy, offering a means of instant brand recognition. A striking message or unique design would generate the same effect. The different teams of professionals at Scyphus each meticulously take into account every single detail from the quality of paper, the manufacturing of the cups, to the branding to give the perfect end product. Recyclable, environment-friendly and 100% biodegradable, our branded paper cups have minimal impact on the environment and, hence, naturally urge consumers to have a positive outlook on it and on your business. Available as double wall branded paper cups or single wall ones, they are furthermore very robust. PLA-coated, they help not only to reduce waste but also to position your company as a business committed to environmental stewardship and social responsibility. 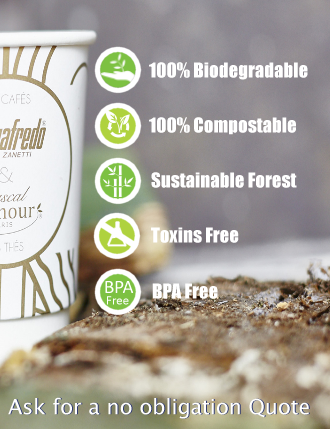 Your customers will be happy and satisfied to remark that your coffee paper cup Clients will be happy to note that the coffee cups of a brand, having lived its 37-minute lifespan, will be recycled and live another post-mortem life, not polluting the environment. This is undeniably a big advantage for the corporate image of any modern and innovative business in today’s highly competitive and demanding industry.